The Rev. Dr. Emilie M. Townes, a distinguished scholar and leader in theological education, is dean of Vanderbilt Divinity School. 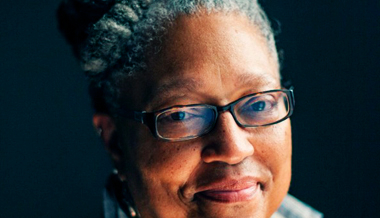 She is also the E. Rhodes and Leona B. Carpenter Professor of Womanist Ethics and Society. Townes' broad areas of expertise include Christian ethics, cultural theory and studies, postmodernism and social postmodernism. She has been a pioneering scholar in womanist theology, a field of studies in which the historic and current insights of African American women are brought into critical engagement with the traditions of Christian theology. Townes has a strong interest in thinking critically about womanist perspectives on issues such as health care, economic justice, poetry and literary theory. She is the author of the groundbreaking book Womanist Ethics and the Cultural Production of Evil(Palgrave Macmillan Press, 2006). Other books include Breaking the Fine Rain of Death: African American Health Care and A Womanist Ethic of Care (Continuum, 1998), In a Blaze of Glory:Womanist Spirituality as Social Witness(Abingdon Press, 1995) and Womanist Justice, Womanist Hope (Scholars Press, 1993). She co-edited Womanist Theological Ethics: A Reader (Westminster John Knox Press, 2011) with Katie Geneva Cannon and Angela D. Simms. In addition, Religion, Health, and Healing in African American Life (Praeger, 2008) was co-edited by Townes with Stephanie Y. Mitchem. The ordained American Baptist clergywoman earned a doctorate in philosophy from the Joint Garrett-Evangelical Theological Seminary/Northwestern University Program in Religious and Theological Studies in 1989. She also received a doctorate in ministry from the University of Chicago in 1982. Previously, Townes earned her master's and bachelor's degrees at the University of Chicago. She continues her research on women and health in the African diaspora in Brazil and the United States. Townes currently serves as president of the Society for the Study of Black Religion (2012–2016). She was the first African American woman elected to the presidential line of the American Academy of Religion, which she led in 2008. Townes was inducted as a fellow in the American Academy of Arts and Sciences in 2009. Townes, who was born in Durham, N.C., came to Vanderbilt from Yale Divinity School, where she was the Andrew W. Mellon Professor of African American Religion and Theology and associate dean of academic affairs. Previously, she was the Carolyn Williams Beaird Professor of Christian Ethics at Union Theological Seminary. In 2010 Townes was honored as Distinguished Religious Scholar by the Black Religious Scholars Group. She also received a Doctor of Human Letters from the Garrett-Evangelical Theological Seminary that year. She has also received honorary doctorates from Washington and Jefferson College and Franklin College. Townes is a contributing blogger for the religion page of the Huffington Post and the Feminism in Religion Forum. Emilie Townes on the cultural production of evil. Emilie Townes on God, chaos, creativity, Christianity.